Emails, emails, emails. We send them out in their hundreds every day – but sometimes, the quality of our email content is woefully neglected. This is particularly the case with transactional emails – which is especially worrying, given how important these emails are for growing your business. At EmailCraft, we’ve worked on thousands of email templates, and we know how custom newsletters and email notifications are important for growing your business. We’d like to share a few words of wisdom to help you make the most of your email marketing efforts. You’ll find out exactly what transactional emails are, how to use them, and why they have the potential to rock your business world. What The Heck Is A Transactional Email Anyway? It’s quite simple. The term refers to any email that’s sent when a user completes an action. This includes automated notifications like welcome emails and shipping notices, or any other form of email that’s triggered by a user action, like a password reminder or purchase receipt. Why Are Transactional Mails So Important? Never, ever underestimate the power of a transactional email. Seriously. According to Experian, average revenue generated per transactional email is two to five times greater than standard emails. This figure soars to eight times as much revenue for bulk automated emails (order confirmations). Additionally, they’re also opened around 10 times more often. We ask you… do you need any more reason to get your transactional emails polished? Which Transactional Emails To Send? Obviously, exactly what transaction-based emails you should be sending depend on the nature of your business. However, here’s a few that are imperative to send out. 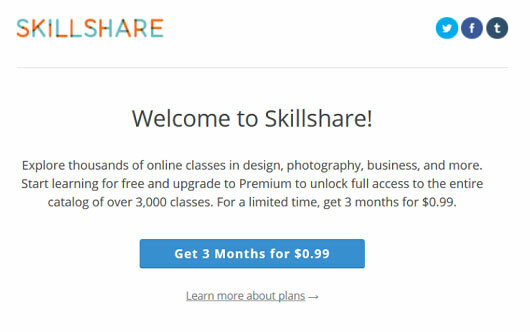 This is the first email your clients will see when they sign up for an account on your site or app. 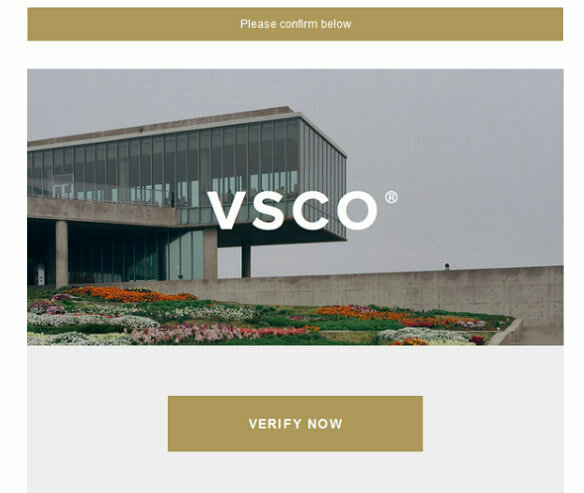 Why is it so important to send registration emails? Quite simply, it’s a golden opportunity to make meaningful contact with your new customer – at the highest point of their engagement with your brand. 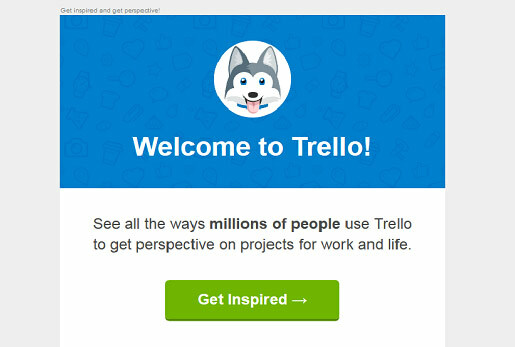 Just check out the Trello’s husky! It’s a great example of a sign-up process that ends with a smile. Notification emails let users know when a relevant action or event takes place on your website or app. So, for example, you might receive a notification email when someone tags you in a photo on Facebook, follow you on Twitter, or when your new designer jeans have been shipped (exciting!). These emails ensure that your customers are kept informed at all times – which keeps them firmly engaged with your company. When you book a hotel room, you’ll inevitably receive a confirmation email, letting you know that your booking has been completed successfully. Most ecommerce sites send pretty dull confirmation emails out – which is a shame, as these emails are a great chance to engage with your customers. 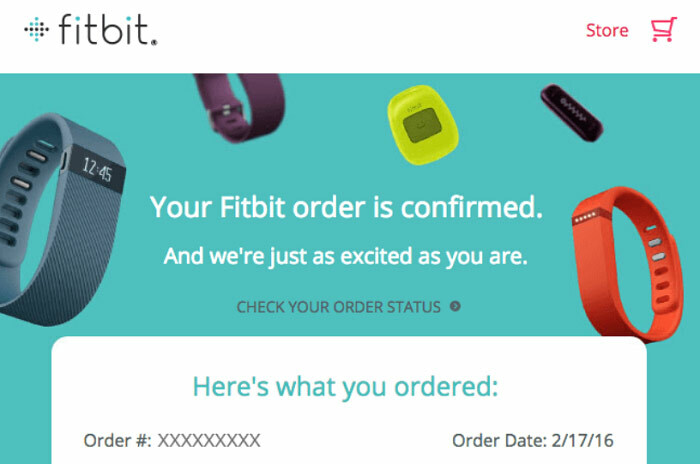 Thank them, get them excited about their forthcoming event or purchase, and make them love your brand even more!The Fitbit confirmation email features not only the important order information. The style and visuals give an impression that the company really cares about their products and the customer experience. Is there anything sadder than a discarded shopping cart? It means another potential sale is lost, and there’s nothing you can do about it, right? Wrong! 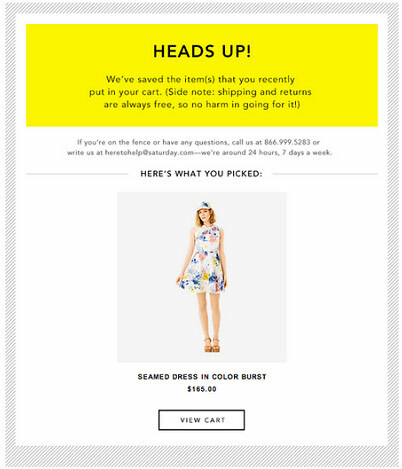 Reach out to an inactive customer with a shopping cart abandonment email and lure them back to your business – preferably with an offer they can’t refuse, like free shipping or a 45-day free trial.We like Kate Spade Saturday reminders, because they are not too pushy and effectively convey the image of the brand. Finally, here’s a couple of practical tips to take your transactional emails to the next level. Get visual. Now is not the time to be a wallflower. Transactional emails should look great. They should reflect your brand in the best possible light, and be full of personality. Use background colors and bold fonts to grab attention, plus tables and boxes to clearly distinguish your triggered emails from promotional. Get delivering. Transactional emails can only work if they actually reach the inboxes. Use a service for sending triggered emails – as this ensures you can keep track of them, and get them sent at the right time, to the right people. 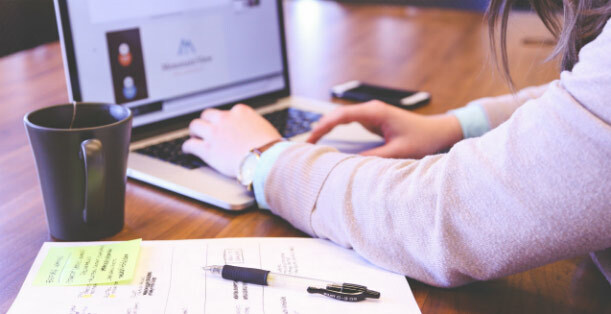 At EmailCraft, we like to use an Email Relay service, previously known as Mandrill (now Mailchimp) – which offers reliable delivery, tracking and simple (and effective) reporting. You can design a beautiful, custom email template and order the Mandrill support feature for just $19. Get the basics right. Keep the tone friendly, and remember to include a warm sign-off at the end. Ensure you’ve got a strong subject line, as this will get your email opened. And of course, make sure all content reinforces your brand and includes all relevant information. Get calling to action. It goes without saying that you should include a CTA. Include links to your website, encourage customers to leave product reviews, or provide a link to another product that you think they’ll love. Get the timing right. With emails, timing is everything. Some emails (such as confirmations) need to be sent as soon as possible after the transaction is completed. Others may need to be sent a little later, to ensure your company doesn’t come across as too pushy. Get the balance right. Remember, it’s not all about you, you, you. Get the balance right and aim for 70% transactional content, 30% promotional. 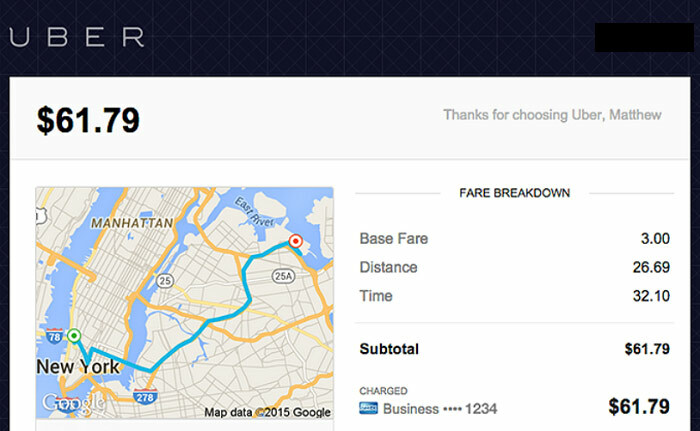 In short, don’t freak your customers out with too much sales-based spiel! Get optimized. People frequently access emails on their smartphones, and they expect your emails to be fully responsive. Get to work! Your transactional email can fulfill a number of purposes. It can serve as an invitation to subscribe to your blog or newsletters. It can be used as a cross-selling or up-selling tool. It can be used to glean more information from your customers. It offers a whole wealth of opportunities to initiate and expand the customer relationship. You just have to make the most of your triggered emails. Transactional emails don’t have to be boring. With the right presentation, content and flair, they can boost brand awareness, increase conversions and build trust in your business. If you’ve got any questions about these awesome emails – feel free to get in touch or leave a comment. Lana Lozova is a marketing manager at EmailCraft, a professional PSD to Email coding service. Lana is passionate about content strategy and growth hacking, and enjoys everything related to email marketing, conversion optimization, and copywriting. 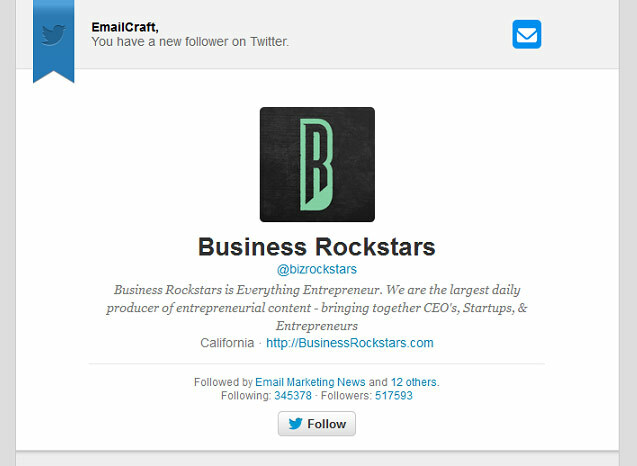 For more information about EmailCraft and some of the best email tips check their website and follow them on Twitter and Facebook.